Kitware is an advanced open-source software solutions provider for research facilities, government institutions, and corporations worldwide. Founded in 1998, Kitware specializes in research and development in the areas of HPC and visualization, medical imaging, computer vision, data and analytics, and quality software process. Among its services, Kitware offers consulting and support for high-quality software solutions. Kitware is headquartered in Clifton Park, NY, with offices in Carrboro, NC; Santa Fe, NM; and Lyon, France. Kitware has been involved in scientific visualization and computing since its inception. Two of the most notable projects to which Kitware contributes are the Visualization Toolkit (VTK) and ParaView. VTK is an open-source C++ library for 3D computer graphics, modeling, image processing, volume rendering, scientific visualization, and information visualization, while Paraview is a parallel visualization tool built on top of VTK. 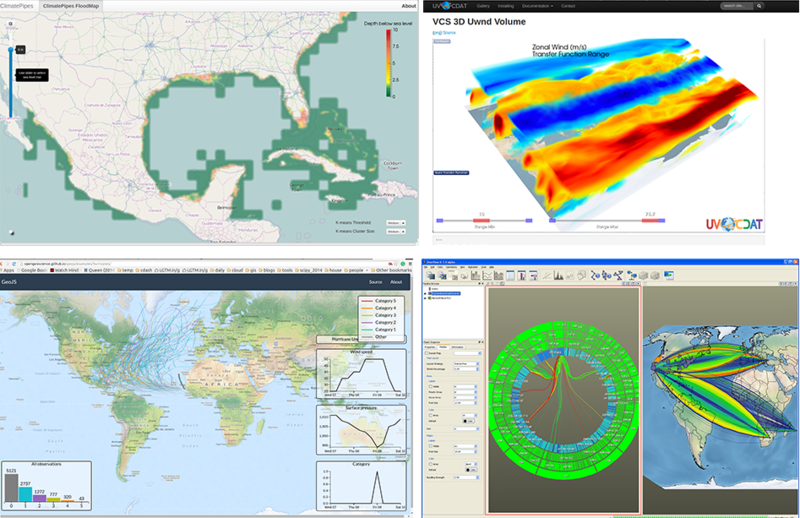 Both VTK and ParaView provide visualization capability for earth science datasets such as those produced by NetCDF or stored as Shapefiles. Kitware is a highly collaborative organization and is involved in community projects such as UV-CDAT and Catalyst. Kitware is also developing Web-enabled tools such as GeoJS, Girder, and Tangelo. An example visualization performed using GeoJS is the Ebola Explorer Map. Reason you participate in ESIP? Kitware is participating in ESIP to collaborate with ESIP community members to push open-source research and development in earth and space science.